The next North City Tech Meetup is Monday, April 1, 2019, 7:00pm to 9:00pm at the Shoreline Library, 345 NE 175th St Shoreline 98155. Boldly go where no North City Tech Meetup has gone before and examine the real science behind Star Trek! From the Drake equation in Gene Roddenberry's original 1964 outline to Titan’s haze obscuring the Enterprise in J.J. Abrams' reboot, we’ll look at examples of how true scientific facts underpin the legendary sci-fi franchise’s 50-plus-year history. Ever wished you could explore strange new worlds and seek out new life and new civilizations? No need to wait until the 23rd century — we’ll see how scientists are using cutting-edge telescopes and space vehicles to answer those questions today. The final frontier is waiting! 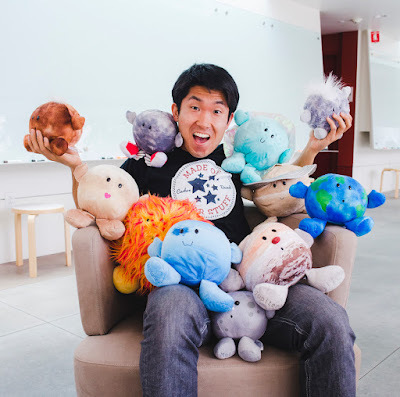 Michael L. Wong is a research associate in the University of Washington’s Astrobiology Program studying planetary atmospheres, habitability, biosignatures, and the emergence of life. He hosts a podcast called Strange New Worlds, which examines science, technology, and culture through the lens of Star Trek.